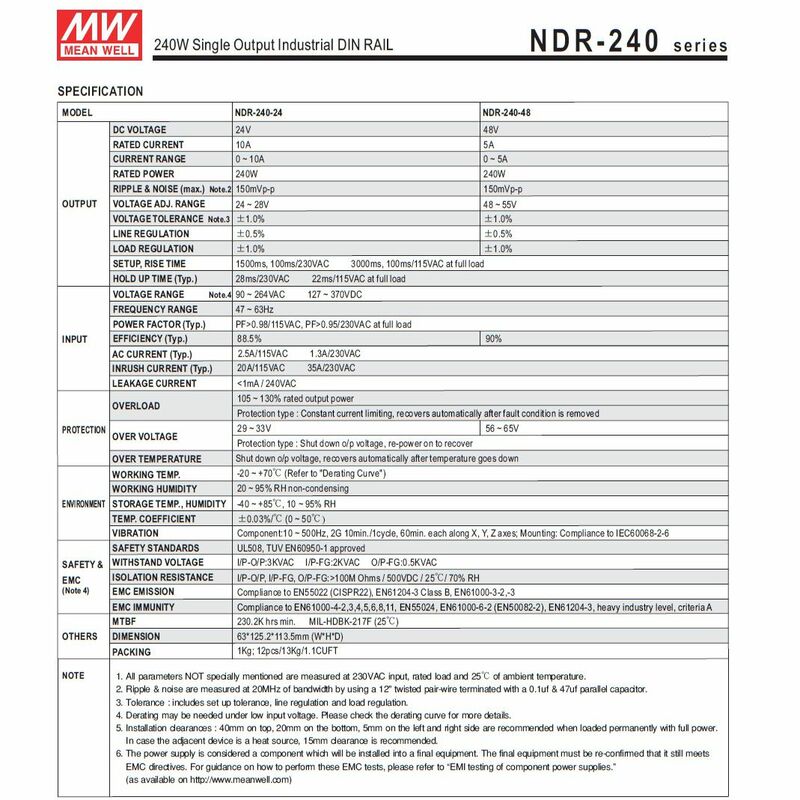 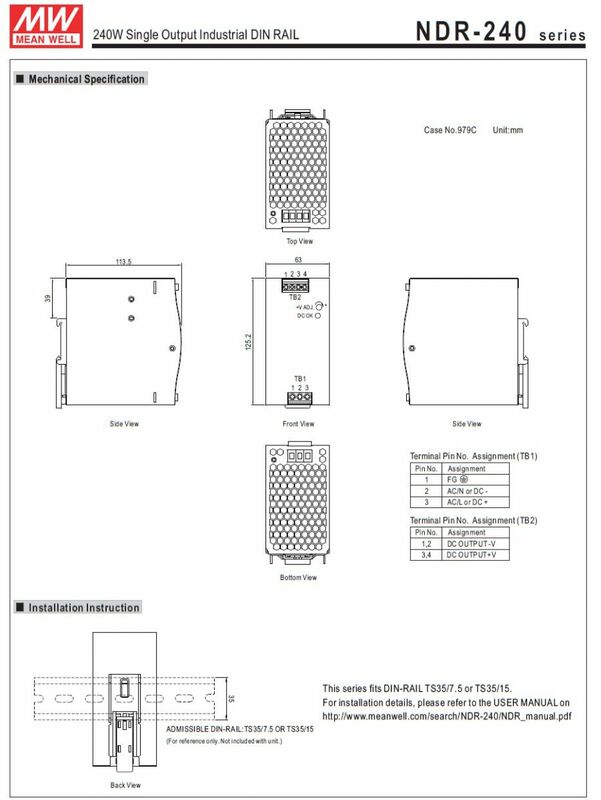 NDR-240 is designed with a metal housing that enhances the heat/power dissipation. 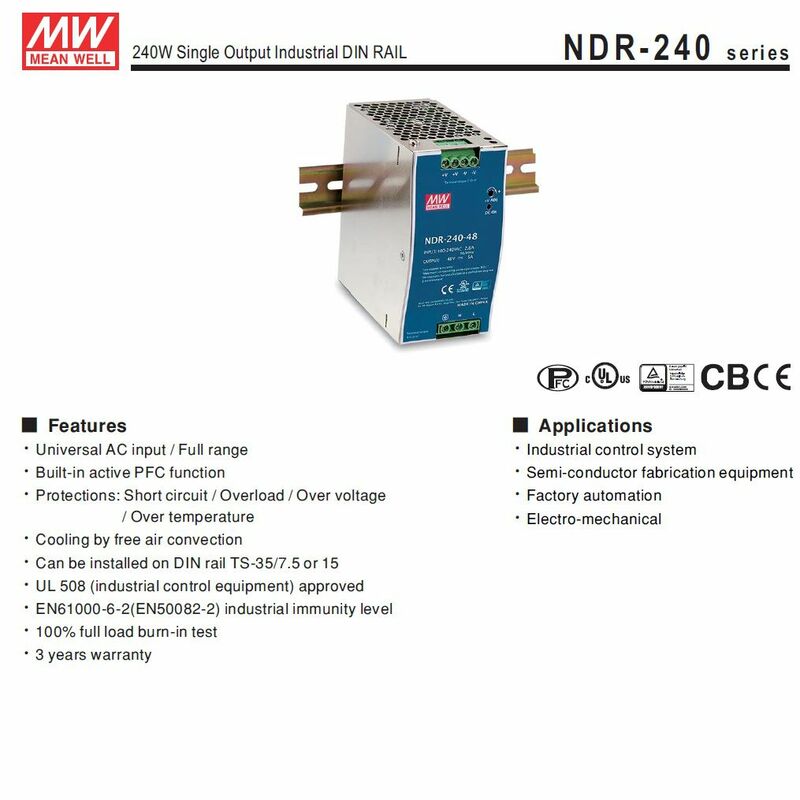 With working efficiency up to 89%, the entire series can operate between -20 to 70 degrees celsius under free air convection. 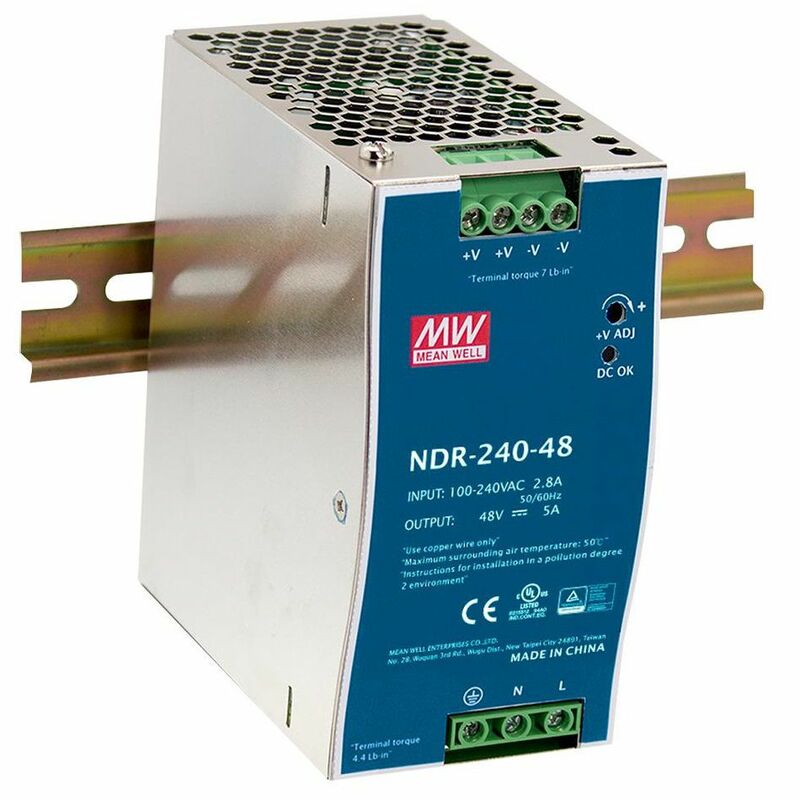 It is equipped with constant current mode for over-load protection, fitting various inductive or capactive applications. 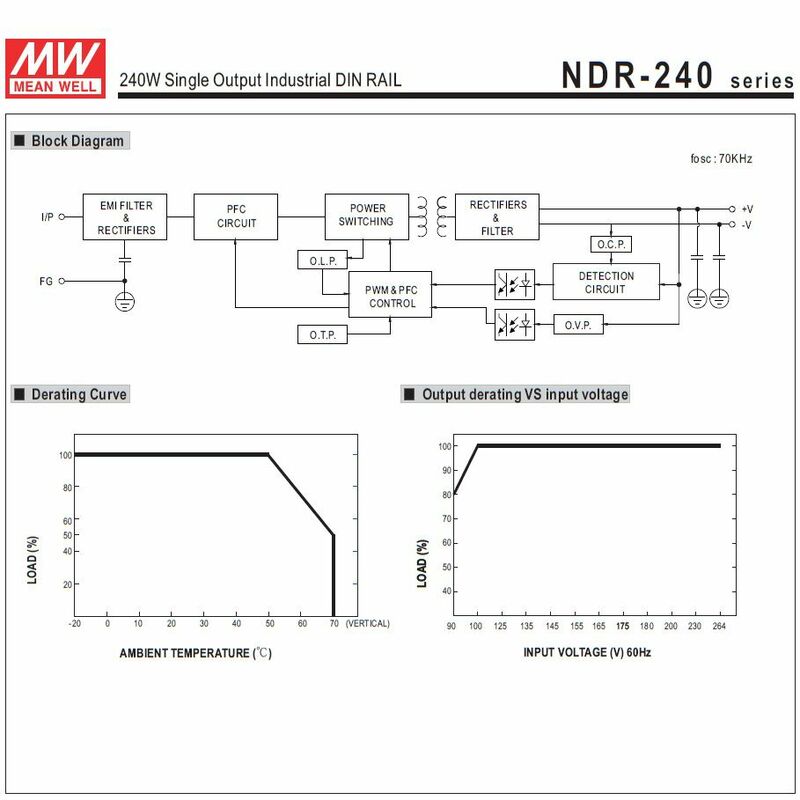 The complete protection functions and relevant certificates for industrial control (UL508, TUV EN60950-1, and etc) make NDR-240 a very competitive powersupply solution for industrial applications.